Ahhh yes, Black Friday. The biggest shopping week of the year is here, friends. 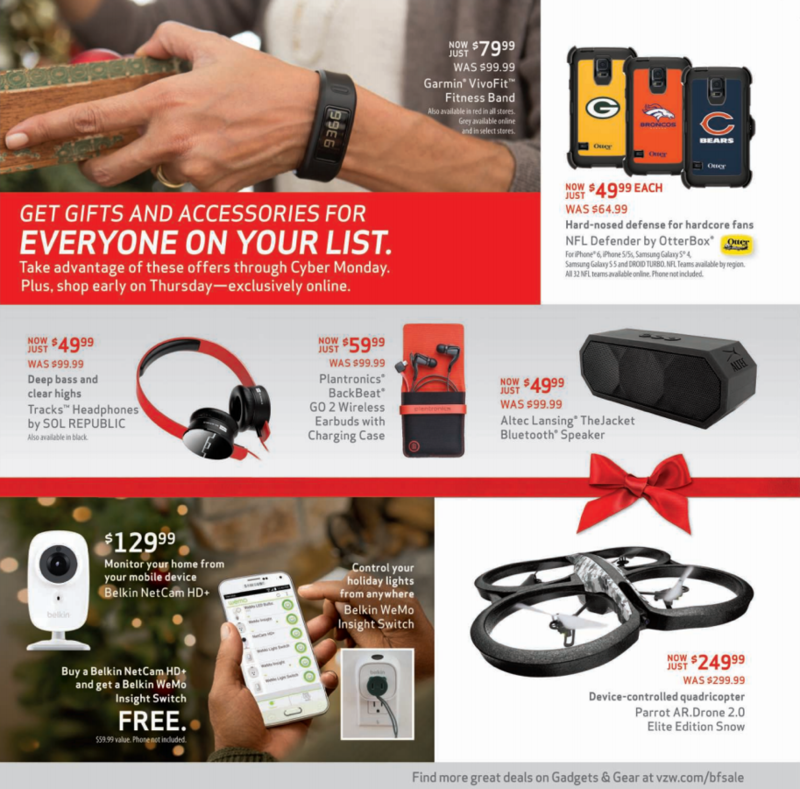 Whether you are ready to start thinking about X-mas and presents or not, now is the time to at least start looking at deals on some of your favorite products, even if they are items you plan to gift to yourself, because there are plenty to be had. 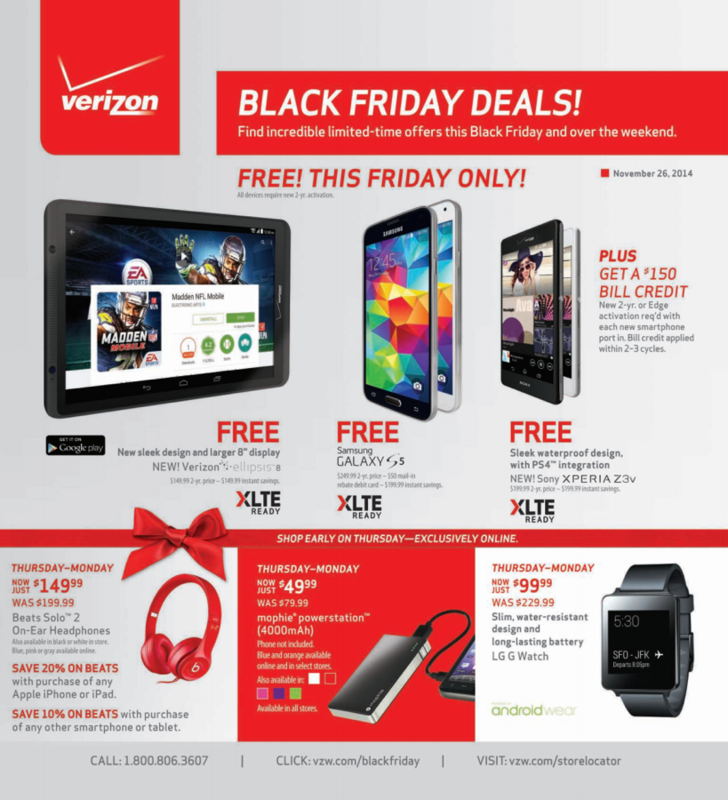 For example, you will want to take a look at the list below, which is from Verizon’s planned Black Friday weekend price slashing. 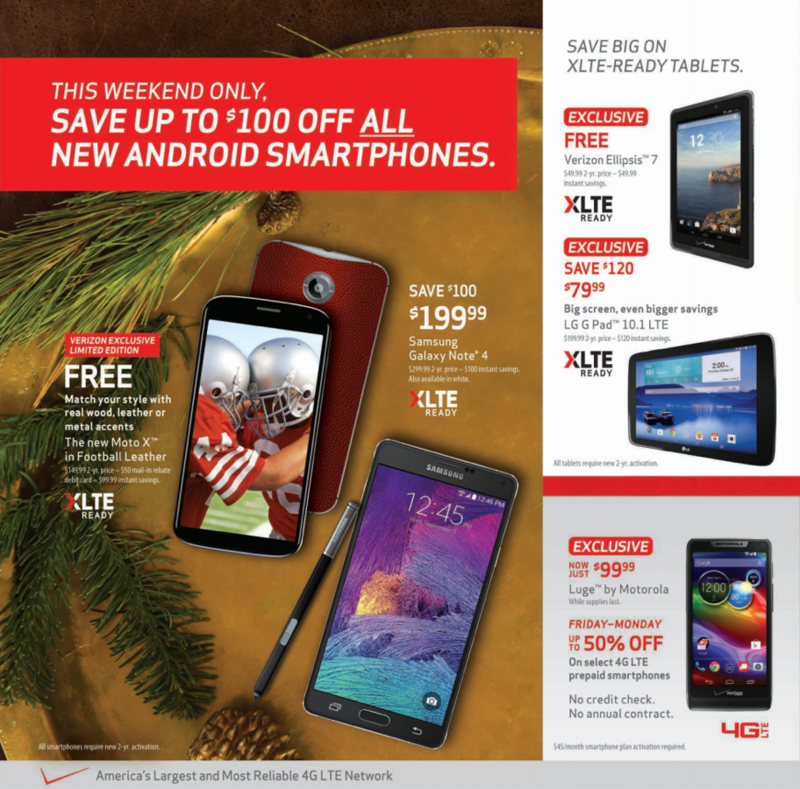 GET VERIZON’S BLACK FRIDAY DEALS HERE. The LG G Watch will drop as low as $99 (from $229), a number of top tier phones will be free on contract (Galaxy S5, Xperia Z3v, Moto X,), and devices like the DROID Turbo and Galaxy Note 4 will both be discounted. There will also be deals on items like the Nest thermostat ($50 off), Fitbit’s line of products, and other accessories. 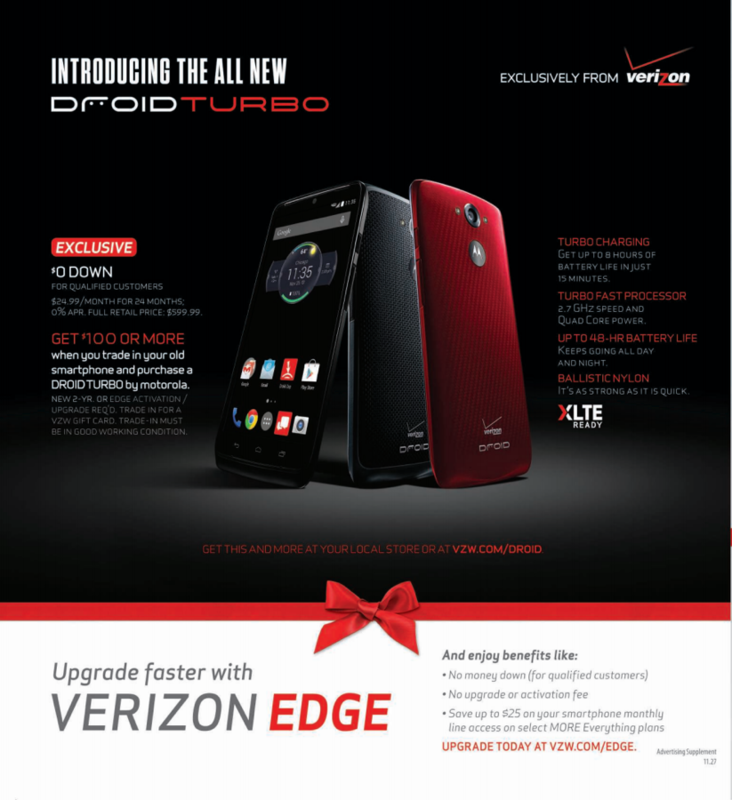 For those needing a “source” and who are clearly new to the site, here you go, directly from Verizon’s site (PDF).